Despite Saxbys being a Philadelphia-based coffee chain, its product has long been roasted on the West Coast. A new lease in South Philly, however, will finally bring the coffee-making process home. Philly.com reported Saxbys has decided to begin roasting its own beans, rather than working through longtime partner Dillianos Coffee Roasters, which is based in Seattle. The roastery is slated to open this spring and will employ 15 people. The plan is to be wholly distributing to Saxbys' 26 cafe locations from the roastery by this summer. 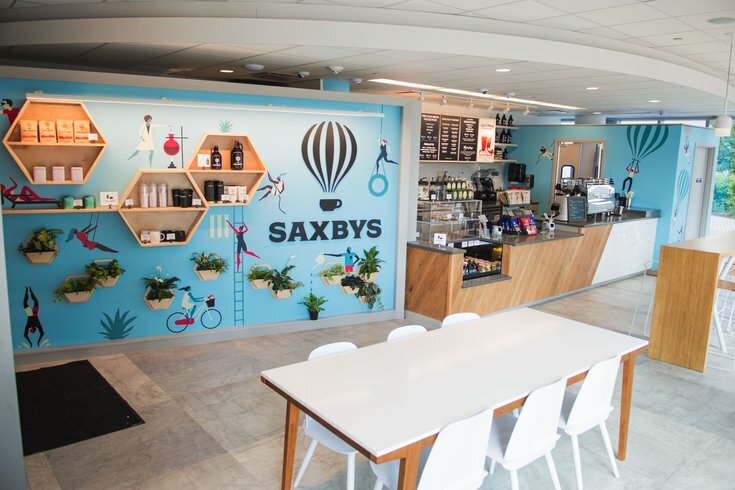 The new venue reflects Saxbys' growing initiatives for local employment and community-focused programs. The company launched an Experiential Learning Café at Drexel University in 2015, for example, as part of its initiative to hire more students. The company has since launched eight total cafés of this kind, with seven institutions. The new roastery location will open at 25th and Morris streets, straddling the Grays Ferry and Point Breeze neighborhoods. The roastery will be across the street from a Di Bruno Bros. warehouse. Saxbys recently hired David Amos, previously of Elixr Coffee, as director of coffee.